Complete service for engineer training materials. British Gas is the UK’s leading energy supplier, and serves around 11 million homes in Britain –nearly half the country’s homes – as well as providing energy to around half a million UK businesses. In the last five years British Gas has trained more than 2,500 engineering apprentices through its six academies. This represents over 30% of the engineering workforce across the UK. The British Gas Training Academies deliver approximately 100,000 training days each year, during which time a British Gas engineering apprentice has 2,500 hours of training. 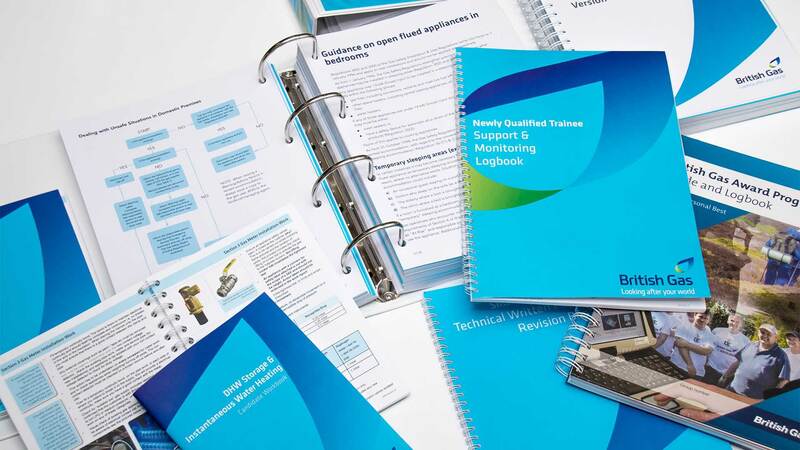 The British Gas Training Academy utilises printed manuals and digital content as part of their training tools for new recruits aiming to become fully qualified engineers for a range of services offered by British Gas including installations, service and repair and Smart Metering. To improve efficiency, reduce costs and ensure training materials are kept up-to-date with legislation, the Academy turned to Livewire for a bespoke content on demand solution. We developed an online web to print ordering system designed specifically to meet British Gas' needs. The bespoke system is simple and intuitive to use enabling the regional offices to order their training collateral quickly and easily when then need it negating the need to hold stock that can quickly go out of date. 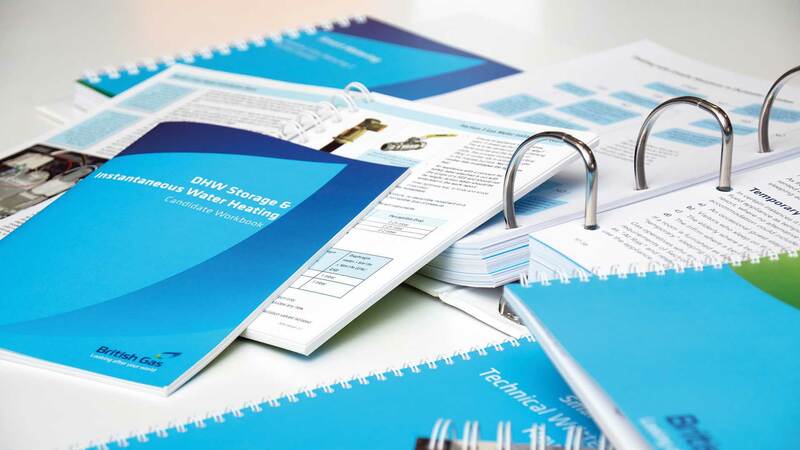 A range of printed work books and training materials is produced on water and tear proof paper to ensure they survive in the harsh environment of the the gas engineers day to day activities.